Extended Stay – What Does it Mean? Extended stay accommodation seems to have many meanings depending on who you talk to. Below, we discuss the terminology that is generally used in the Global Mobility and Relocation community. 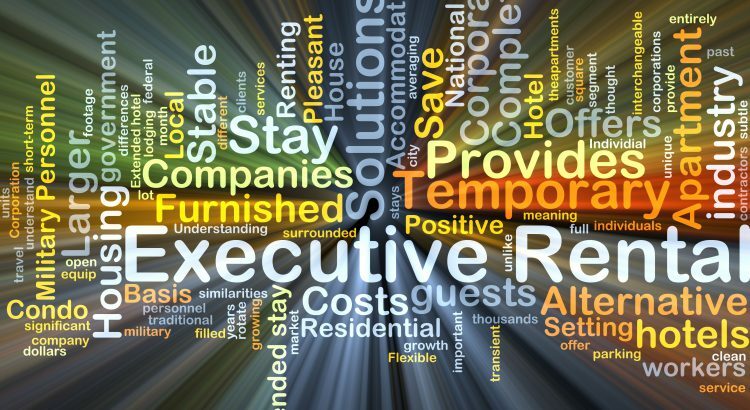 We find that many of our clients have a differing vocabulary to describe the various business accommodation modes. Indeed one of our customers describes 2 weeks as a long stay! With nearly 20 year’s experience in the extended stay industry, here are our thoughts. Be it an individual manager on assignment, or a major away-from-base project team, careful consideration needs to be given to the accommodation. Getting this wrong can have a major effect on outcomes. So these are the options. Short Stay Accommodation – 1 Week or Less- Hotels. This category has been redefined in recent years by Airbnb and its many look-alikes. It includes leisure stays as well as business travel. Business travellers will tend to stick with hotels rather than riskier alternatives. Corporates, due to their inherent ‘Duty of Care’, do not encourage their employees to choose Airbnb style accommodation. Indeed some prohibit it as a result of their operational health and safety policies. Short Stay Accommodation – 1- 4 Weeks – Serviced Apartments. Here, due to cost and comfort considerations, the serviced apartment option is likely to be chosen. The serviced apartment concept is now well understood, being something of a hybrid between a hotel and an apartment. The serviced apartments will be in one building, have a reception desk, daily cleaning and perhaps facilities such as a restaurant and pool. A serviced apartment will generally be cheaper than an equivalent quality hotel, while also offering the employee more space and comfort while away from home. There will be a fair proportion of leisure stays choosing this option too of course. Extended Stay – 4 Weeks to 1 Year – Corporate Housing. Now we encounter the term “extended stay” and employers are more likely to call this an assignment rather than a business trip. Cost is now going to become a significant factor in the choice of accommodation, but so is employee comfort and amenity. An unhappy employee, in inappropriate accommodation, for an extended stay, is not going to be productive. Just because they are on assignment it does not mean that ‘work/life balance’ is no longer important. Perhaps it is even more so. Corporate housing is much lower cost than a serviced apartment. It comes close to being a form of direct leasing in a normal residential environment, but offers stays of as short as 28 days. The corporate housing provider has accepted the risk of a long term lease. They have added a lot of services and made the property available to its clients for shorter periods. Should the project be shortened or the employee leaves, the client’s exposure is limited. Also, all the work associated with direct leasing; documentation, utilities connections etc is done by the provider. Cleaning and linen change is done at an interval determined by the client. There are a number of benefits to this extended stay option which we cover here briefly, but which are covered more extensively in this series of blogs. As much as 40% less than an equivalent quality serviced apartment. 2. Employee, comfort and privacy. 3. Pool, gym and other facilities on site. 4. Utilities including broadband, rolled-up into the price. 6. 24/7 client service support for maintenance and emergencies*. A duty of care and rapid issue response. 7. Account management for billing and reporting. Easy administration and budgetary control. 8. Flexibility. Choose a fixed or variable rental period. *Not all providers have a full-time management team on the ground. Take care. Long-Stay – 3 Months to 1 Year – Corporate Housing. When does an extended stay become a long-stay? The writer can find no consistency of use of either term. Somewhat arbitrarily we have determined the transition from one to the other at around the three-month mark. Clearly, they will continue to be used interchangeably. However defined, for a stay of this duration, corporate housing is by far the ideal option. Relocation – 1 Year or More – Corporate Housing / Direct Leasing. When the assignment exceeds a year it might more reasonably be termed a relocation rather than an extended stay, or long stay. The corporate housing option may still make sense if the client wants to retain some flexibility or avoid the pitfalls and hassles of direct leasing. For extended stays of this duration, the provider is going to be open to negotiation too, so the cost argument for a direct lease may not be very compelling. Well, that pretty much summarises your business accommodation options, especially when it comes to extended stay. Should you have any questions or require further information please feel free to contact our customer service team.